I am finally ready to resume updating the blog once again. My circumstances have improved since my last post, and I will be updating both this blog and the blogroll within the next couple of days. I would like to thank those of you who have been supportive during this difficult time for me. Your kind words are certainly appreciated and encouraging. I am still in need of a full time contributor here if any of you are interested. Please see the previous post for more details. Thank you once again for your support. First of all I would like to apologize for my brief absence. I couldn't afford to pay my cable bill on time, so I was without internet access for about a week. I have also been fighting some personal demons, which has left me extremely physically and mentally drained. To give you an idea of how bad off I've been, I haven't even felt like listening to music this past week. On top of that I have started a new job, which will take up a significant amount of my time. I don't plan to take a break from the blog; however, I probably won't be able to update it often as I have in the recent past. I desperately need some peace of mind at this point, and would like to focus more of my time doing other activities that I love, in order to pull myself out of this hole that I've been in. Unfortunately Lee (Psycho Cat) has been experiencing some difficult times as well, which forced him to give up his position as a regular contributor here. Other than myself, Lee has been the only other person to be a regular contributor since I started the blog. Lee if you happen to read this, I would like to thank you for your contributions here. Your posts were a refreshing alternative to the material that I post here, and you helped to keep the blog rolling while I was going through some very challenging times in my personal life. I hope that your situation improves soon my friend. There will always be a spot for you here at DM should you decide to return. I would like to continue to update the blog as often as I can, and hopefully I will be able to deliver daily updates again one day in the near future. Psyche Zenobia and AllyWonderland are both guest contributors, and are only able to post on a very limited basis. If you would be interested in contributing here either as a guest, or a full time contributor, please contact me. Even if you're interested in posting for a week long stint, or a few times a month, I would be willing to work with you. I could certainly use the help right now. You can either leave a comment here, or e-mail me (my e-mail address can be found on my blogger profile). In the meantime, I'll do my best to update the blog as often as I can. Thank you to those of you who have continued to support this blog for better or worse. You are the reason I do this. The 13th Floor Elevators should need no introduction here at Digital Meltd0wn. I have covered their studio albums, as well as several solo albums by singer Roky Erickson, here in the past. This recording has been issued under various titles over the years, with the album cover and track listings for each version differing from one another. While this may be frustrating for collectors, what truly matters is that this recording offers a rare peak at the Elevators performing live while they were at their peak. This recording was actually made one month before their debut album, "The Psychedelic Sounds of the 13th Floor Elevators", was recorded. It was recorded at the Avalon Ballroom in San Francisco on September 30, 1966. Not only do they perform several songs from "The Psychedelic Sounds of the 13th Floor Elevators" album, but they also cover a few hits from the Beatles, Chuck Berry, and Buddy Holly. For those wondering, I'll explain my recent lack of activity and the disappearance of Psycho Cat from the list of blog authors tomorrow. This is a vinyl rip of a limited edition (autographed) live LP given away at CBGB's 20th Anniversary Show on December 10th, 1993 by The Cramps. Entitled "Frank Furter and the Hot Dogs", it features an 11 song set by the Cramps performed at CBGB's in New York on January 13th, 1978. As with any live Cramps performance, this is full of high-spirited rockabilly/psychobilly music, accompanied by the vocals, pants, howls, and growls of Lux Interior. The recording isn't of the highest quality, but it certainly qualifies as listenable, and would be an essential album for Cramps fan's collection. As a bonus, I have also added a clip of the Cramps performing "Teenage Werewolf" nearly three years later, which is taken from the Urgh! A Music War" video. Southern Lord Records is undoubtedly a household name to any fan of doom, drone, or sludge metal. Bands like Sunn O))), Earth, Boris, and Wolves in the Throne Room have all called the label home at some point in their existence. It was through my fascination with many bands on this label that I came across this intriguing Japanese doom metal band called Church of Misery. Church of Misery takes a fusion of psychedelic rock with traditional Saint Vitus/Black Sabbath doom. The trademark of the band, however, is that most of their tracks use infamous serial killer as their central theme. Critics have often neglected their talent and insisted on focusing in on the serial killer theme; often labeling the tactics as a gimmick. At least there is one thing that their lyrical themes and their music have in common; they are both "killer." After releasing a series of splits and EPs, Church of Misery released their first full length album, Master Of Brutality. The album kicks off with the Sabbath-esque, "Killfornia," a track about hitchhiker slayer, Edmund Kemper, and continues to steamroll you with a wall of sound for the duration of the album. The album highlights include a magnificent cover of Blue Öyster Cult's "Cities on Flame With Rock & Roll" and the 11-minute self-titled track album culmination, "Master of Brutality." Next up is a compilation featuring some of Church of Misery's early output. This was released on Leafhound Records in 2004. The compilation contains tracks from the aforementioned splits and EPs which were compiled into a 2-disc set called the Early Works Compilation. This should widen your bloodshot eyes and keep you occupied until the next munchies run. I have enabled a new commenting system utilizing both CommentLuv and JS-Kit. CommentLuv is great, as you will see once it is in full swing. Once a user leaves a comment, it will show a link under the user's comment to the latest post made by that person. There are also several options that aren't available in blogger's default commenting system, such as the ability to backtrack comments, reply to other user's comments, e-mail notification upon response (optional), emoticons, a private messaging system, personal profiles, and more. The only downside to this is that you will have to sign up for either an Open ID or JS-Kit account in order to fully access these features. Of course the option to post anonymous, or manually enter your name still exists. I plan to make a few minor modifications to the script so that it blends in better with the rest of the blog. 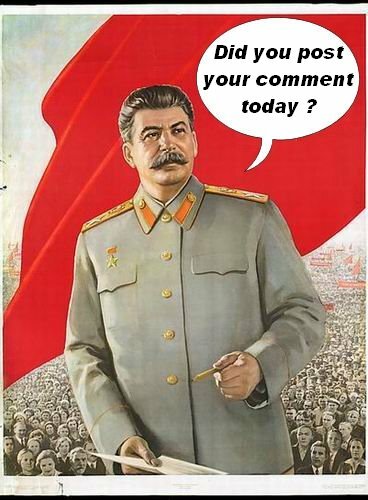 Please let me know what you think of the new commenting system. I hope that you all enjoy it. If you all are unhappy with it, please let me know, as I can always revert back to the default blogger commenting system. The music on this album represents the entire recorded output of this obscure early '70s acid-rock band. Shiver recorded this stuff live to two-track tape in the summer of 1972, and while they never released an album back in the day, it's clear that the world is ready for their heavy guitar jams now. Rising from the same scene of Texas freaks like The 13th Floor Elevators, Johnny Gee & The G Men, and Warlocks, Shiver moved to SF and this CD documents their complete output of early 70's heavy psychedelic rock. In a city known for peace, love and flower power, Shiver was an over the top, in your face, balls to the wall 'gang' of musicians that felt at home with Hell´s Angels and Hippies alike. Shiver played a lot of Street Fairs on Haight, Market and Castro streets, and got to jam with guys from Big Brother (Gurley & Albin) and other local heroes. These recordings were done on a twotrack machine at 2909 Mariposa in the Summer Of ´72 and feature no overdubs or studio 'wizardry'. What you hear on these tracks is Shiver in it´s raw, powerful glory.